Increasing aquaculture yields is a priority and a challenge for many shrimp farmers. A client located in Champerico, Guatemala was facing common issues with mortality rates due to the high-density of product in their ponds. The problem was unpredictable yields and uncertainty in managing production using conventional methods. Attempts to aerate the grow ponds on their part with paddle wheels was leading to only marginal improvements and above average energy costs. 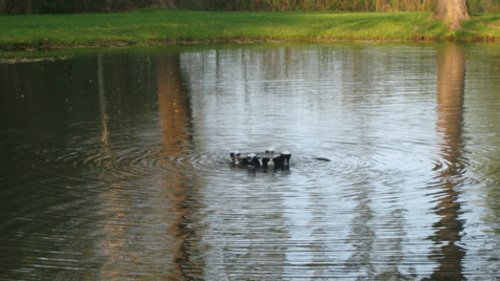 Blue Planet Environmental installed its oxygenation 'h'-units in 2 ponds, each a hectare in size. 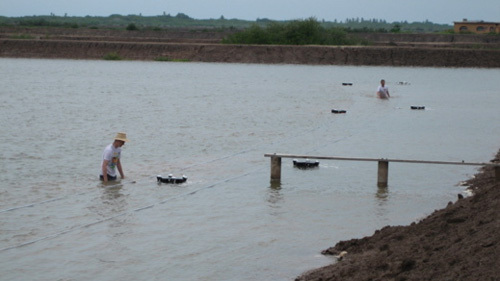 Each pond was stocked with 140 shrimp per square meter, and targeted 1000g per m2 biomass at trial. Due to their modular design, the installation of the units could be customized to suit the clients' pond requirements. The units were placed in rows so that staff could access them easily by boat to adjust their usage and control both aeration and energy use with more accuracy than their previous aerators. 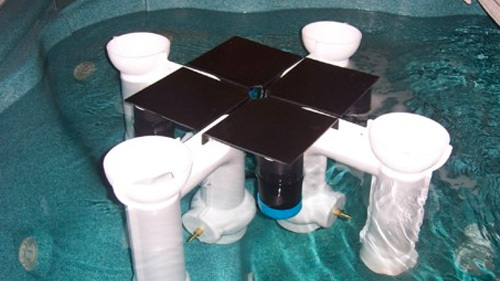 The results, compared with side-by-side control ponds oxygenated with paddle wheels, yielded significant advantages for the Blue Planet Environmental oxygenated ponds. In the first trial the total production was 6,720 kg. as compared to 5,810 kg. In a 300 hectare farm, assuming two harvests per year, sales revenues would be approximately $3,000 per hectare greater, per harvest, or approximately $1.9 million per year. 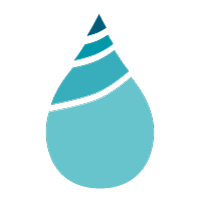 During the grow cycle the Blue Planet Environmental pond consumed 1252 kilowatts less than the control pond equating to an approximate $1,943 savings per hectare, per harvest, or approximately $582,900 in energy savings annually for the farm. Finally, given the lower cost of equipment and maintenance required by the Blue Planet Environmental 'h'-unit installations, the estimated annual savings on equipment and maintenance for the farm would be an additional $3 million. 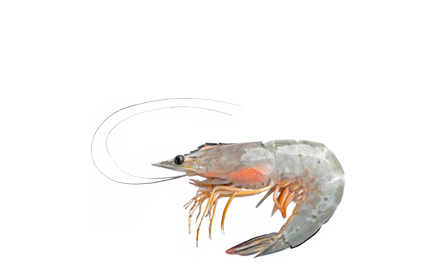 In the second set of trials Blue Planet Environmental achieved a 42.5% reduction in late season nitrate levels allowing the shrimp to grow for a longer period. The Blue Planet Environmental pond shrimp reached 22 grams while the control pond was stopped at 10 grams.